I read a lot this year - I'll write more about that and reflections on goodreads in another post - but most of the things I read weren't published in 2013. (I should also write a bit about my thoughts on e-readers). However, it seems I have enough to write about 2013's novels to make a round-up post worthwhile, so here we go. This year, crime author Robert Galbraith published his first novel The Cuckoo's Calling. I'd never have heard of it if Galbraith was not outed as an alias for Joanne "JK" Rowling. Clues that Rowling was working on a detective story exist as early as a Guardian preview article in 2012 for her last novel, The Casual Vacancy. Further hints, for me, that this was no first-time author were the taglines from Ian Rankin and Val McDermid on the cover, writers of a calibre I'd be surprised a new author could attract. However I don't know whether they were on the pre-unveiling cover or not. Rowling was upset be outed, having enjoyed the freedom to write without the baggage of expectation that she is subject to. I hope she's pleased: prior to her unmasking the novel was warmly received by the (admittedly relatively small) number of people who read it. And a very good novel it is too. It starts with a genre cliché of a grizzled, meloncholy detective, Mr. Cormoran Strike, in an upstairs office with a neon light flickering through the window, but fleshes the story out both forwards - a client, a mysterious death - and backwards - how did Mr. Strike end up in that upstairs office - living out of it, no less? As is traditional for the genre there's a very clever twist. 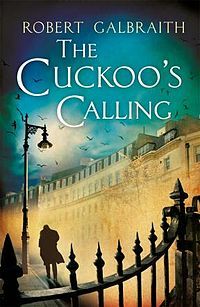 What I really enjoyed about Cormoran Strike was Galbraith/Rowling moving quickly from Chandler-esque everyman to a well fleshed-out, complex protagonist, intertwining the development of the character with the unfolding of the wider plot. I'm looking forward to the sequel, expected in 2014. A second surprise favourite this year was Lauren Beukes' time-tripping crime story The Shining Girls. A monsterous murder of women somehow finds a room in Chicago that lets him travel through time (or perhaps the room finds him). He uses this facility to stalk and murder a set of Shining Girls: women who, for one reason or another, literally 'shine' in his perception of them. One such woman survives his first attack and decides to try and find out who attacked her, and why. The crimes are described in a brutal fashion which - from a distance - resemble the sometimes glorified violence for which crime fiction is sometimes criticised, but the focus of the story is very much on the victims: they are fully fleshed out characters and each death is felt by the reader as a genuine tragedy. I discovered Beukes when her earlier novel Zoo City was included in a Humble eBook bundle. 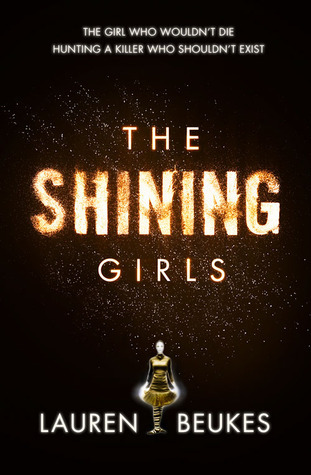 On reading The Shining Girls I felt that the novel deserved to be more widely known than I would expect it to be trapped in the ghetto of genre fiction, so I was pleased to discover that the very mainstream Richard and Judy Book Club discovered it. In established author news, Terry Pratchett, having adopted speech recognition for writing (to combat his debilitating Alzheimer's) has seemingly managed to accelerate his rate of production and squeezed out at least two this year: The Long War with Stephen Baxter is the sequel to 2012's The Long Earth which I very much enjoyed, but it really felt like "difficult second novel" to me. Hopefully there'll be a third. Raising Steam, the 40th Discworld novel, was an enjoyable romp around the concept of steam trains, featuring the relatively new Moist von Lipwig who has managed to become one of my favourite Discworld characters. I can't think of much more to say about the novel, really. It's a Discworld novel, probably not the best introduction to the series for a new reader, but will give a reader familiar with the franchise everything they expect, and possibly no more. Iain Banks sadly died this year, shortly after the publication of his last novel, The Quarry. It's sat on my hardback shelf for the time being. I couldn't bring myself to read it in 2013. I did read his last SF offering from the year prior, The Hydrogen Sonata. Sadly, yet coincidentally, both of these books examine the nature of living and dying, The Quarry in particular from the point of view of a terminal cancer sufferer. I have a small backlog of unread Banks fiction which I want to take my time over with. Finally, whilst not really a book, I thoroughly enjoyed the BBC's 2013 adaptation of Neil Gaiman's Neverwhere. Natalie Dormer wrote a piece on the making of the drama which should serve as a good introduction. At the time of writing, most of the programmes have disappeared from iPlayer, but I would be surprised if this wasn't released commercially at some point.